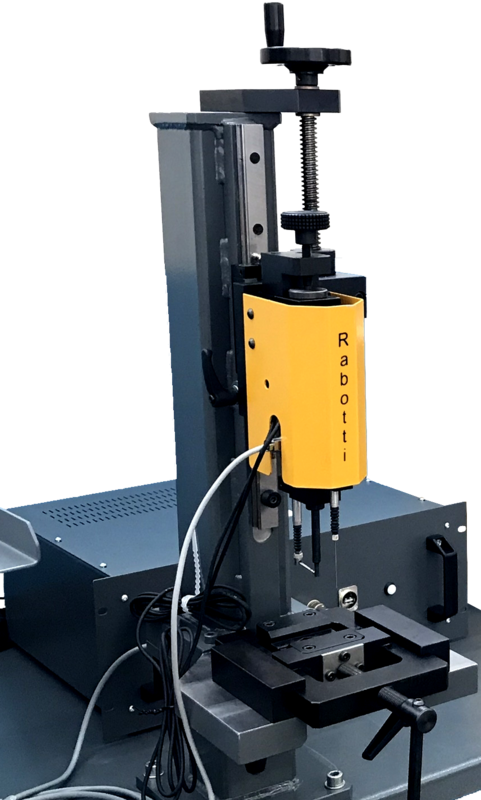 The Rabotti control and measurement system enables to test and identify the right thickness of the highlighted area (nozzle side and coil side). Moreover it tests the coil integrity by measuring values of resistance, inductance and insulation. Currently the system works with BOSCH® magnetic CR injectors. In future CR injectors of other manufacturers and different injectors (eg. Piezo electric) will be added to the system. Measurement of coil inductance to identify the stroke of the core and the amplitude of the magnetic gap. Measurement and check of the ball lift. Measurement of the plunger opening pressure. The system is composed by measurement tool, the electronic control unit . The personal computer is not included in the price.